The CYCLE MUST BE BROKEN! : Achieving Goals and How to Overcome Struggles! – Fashion, Makeup and a Double Latte! The CYCLE MUST BE BROKEN! : Achieving Goals and How to Overcome Struggles! August 28, 2014 Fashion Make-Up and a Double Latte! I woke up this morning (Praise God!) and I was sitting there thinking about my life (As we all do if life grants us that extra 3 Minuits in the morning!) I’m on a much needed vacation and I was hoping to clear my mind and hit the re-set button. In my mind I was going to work out everyday…I planned to do a Juice Fast on Monday to kinda cleanse my system, and I also wanted to do some things around my apartment. Its Thursday now (My Vacay Started on Sunday…) and I have realized that I mentally make all these GREAT plans all the time and I rarely fulfill any of them. When I Come home some days…all I want to do is lay on the couch and take a nap!! 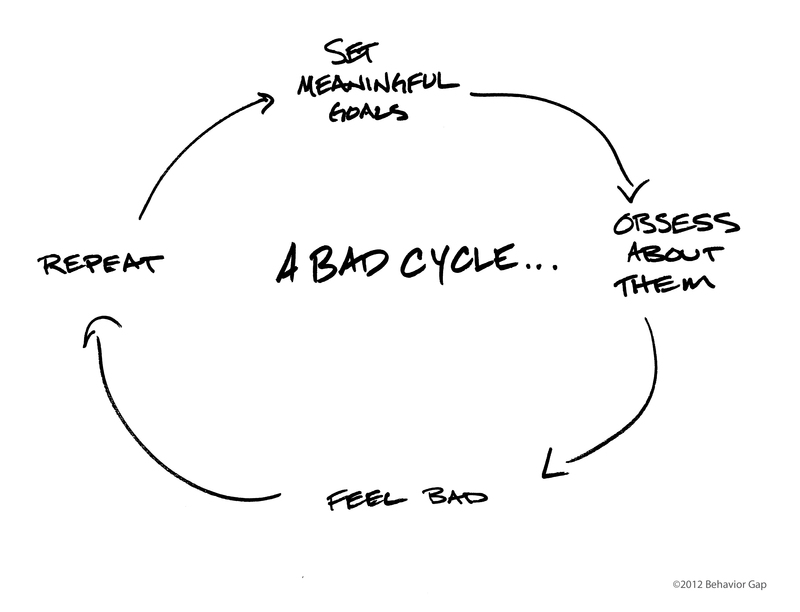 Its a cycle I tell you!!! I, with good intentions, plan to do things to better my not-so-exciting life. Then I am sooo tired from working my glorious Management Job that I don’t have the energy or just “don’t feel like” doing anything! Then I beat myself up over not doing the things I told myself I would do, which in-turns stresses me out! Then I Start trying to figure out what I need to do to fulfill these goals of mine…then I make more plans.. DO YOU SEE WHERE I’M GETTING AT??? Hell I don’t know what my problem is! I feel like I’m being lazy sometimes. Other times I am truly tired and need to give mu brain a rest! I do know that I am a very creative person and have the attention span of a Knat on Crack!!! I have known myself for a while…34 about to be 35 LONG years and I do know that I get board easily and if there isn’t any variety in my life or in my daily/weekly routines, I SHUT DOWN! (Hell..I cant even eat the same thing over a span of 24 hours….so there goes Meal Prepping and all that jazz!). I have tried to come up with a Set routine for my health Journey…eating plans, exercise charts, etc. Nothing has worked for me! But I do know that I beat my self up a lot..a whole lot. I look in the mirror an feel discusted. If I have to go somewhere and am tring to get dressed, I sometimes litterally have a breakdown. I wouls sit in the midle of my closet room and cry…thinking How in the hell did I let myself get so Big!!! As I pass mirriors…I tent to always look at me self…judging my body at different angles. Its a sickness! Im fully aware that its a problem and I struggle with it every day! And I have other areas in my life where the same type of struggle exists. What is a Girl to do??? Well First, Im sharing my story. I think when you stumble upon people who share the same struggles, It really makes you feel like you are not alone. Now I just dont want a bunch of like minded people having a pity party together and be done with it! I want people to be able to share there struggles and there triumphs and not feel like they are being judged! I want for people to be able to say “I Did this and I followed through with it! You shoudl Try it!” I want to generate excitement and triumph! (Thats why I created a FB Group Called “Fit, Healhy and Motivated!” a while back! Heres the Link !! The Next thing I need to do is take it easy on myself! There are some days where I actually feel good about myself! I alwasy find peace in putting on my make-up and Helping another person pick out the best clothing that suits them. I LOVE Styling people and shoppin is my fave! I honestly feel that if I emmerse myself with doing the things I love, and less time obsessing about the bad thing I just ate or the workout I didnt do….I would be MUCH better off! But then again, I need to learn how to insert those healthy things into my life so I can be a more fit person! How AM I (WE) GONNA DO THAT?? Lets BREAK THE CYCLE!!! I will learn to MAKE time for my self…Time to Budget and Plan out my Bills. Time to Do a PiYo video or take a walk in the Park. Time to record a You Tube Video! Time to go shopping with a friend and maybe Post Pictures of a look I created for him/her! But for the most part I need to stay accountable! So I charge ALL my Immediate Family and Close Friends and my Readers/Viewers to Help me out!!! (PLLLLEEEEEESSSSEEEEEE!!!! With Nutella..I mean Splenda on top!!!!!). I do know that I am a VERY visual person and is stimulated by “Pretty Things”. Bo Maybe I will Start a Vision Board!!! Hummmm……Great Idea! Ill Make one on Pinterest and see how that goes! And I think whenever I am feeling stuck, I should definatly write it down..get it out and not feel like I have to hold in all in rather then become someone else’s inconvenience. I Know it seems like randomnes…but sometimes you have to brainstorm to get the ball rolling!!! So WHO’S WITH ME???? So My Question is…What are your struggles??? What are ways you could improve??? What have you done to make improvements??? Comment Below! We could help each other out!